MEETING OF REPRESENTATIVE OF EUROPEAN PARLIAMENT’S WORKING GROUP ON FREEDOM OF RELIGION OR FAITH WITH THE LEADERSHIP OF THE I.A.O. The Member of the European Parliament from Netherlands Mr. Peter van Dalen, representative of the European Parliament’s Working Group on Freedom of Religion or Faith, accompanied by the group’s advisor Mr. Leo van Doesburg, realized a constructive meeting with the leadership of the Interparliamentary Assembly on Orthodoxy (I.A.O. 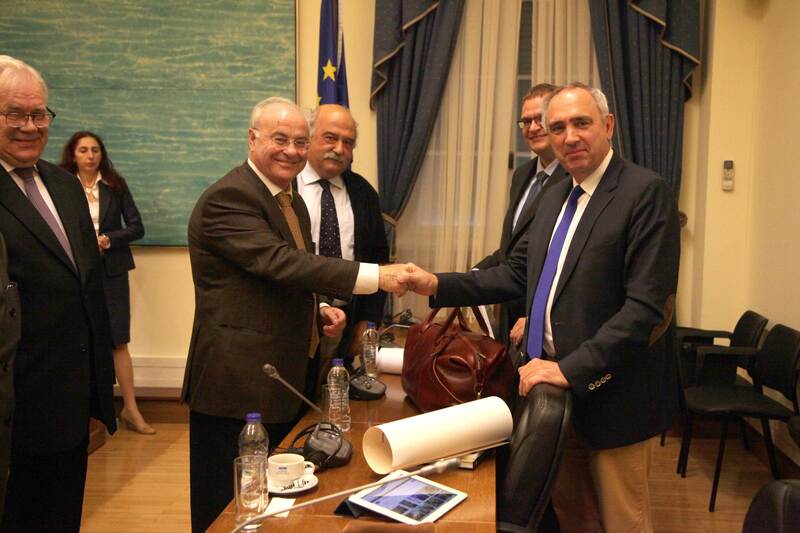 ), consisted of the Secretary General Mr. Anastasios Nerantzis, the President of the General Assembly Mr. Sergey Popov and the Advisors Mr. Kostas Mygdalis and Mr. Valery Alekseev. 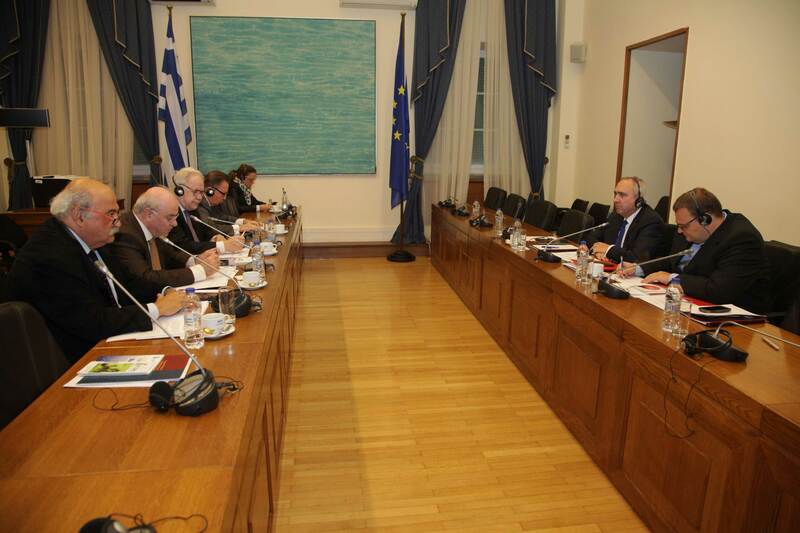 The meeting was held at the premises of the Hellenic Parliament in a warm and cordial atmosphere. 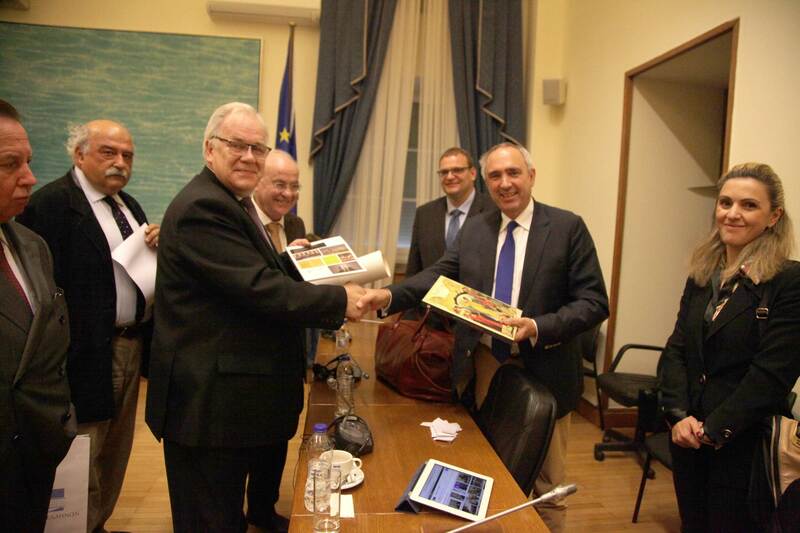 After an overview presentation on the global situation and exchange of views regarding the need for further promotion of religious freedom, as a key element of EU foreign and human rights policy, Mr. van Dalen requested I.A.O.’s support and more specifically of the Greek representatives to the I.A.O., in order for their initiative to be established as an Intergroup in the European Parliament, during the new parliamentary term. This entry was posted in Featured News, News and tagged European Parliament, FAITH, FREEDOM, NETHERLANDS, RELIGION by Orthodoxy Cognate PAGE. Bookmark the permalink.